LeMay+Lang, LLC, specializes in dealership operations, providing risk management and insurance advisory services to multi-franchise and multi-location equipment and automobile dealerships across the United States. We help dealers get the most for their risk management and insurance dollar, and we do the hard work of managing the insurance buying process from beginning to end. LeMay+Lang, LLC puts our clients into a position of superior knowledge and bargaining power relative to the insurance providers. Our clients get the coverage they need, and not the coverage that an insurance agent or company wants to sell them. Instead of passively awaiting quotes, LeMay+Lang, LLC actively “Sells Your Losses” to the insurance companies. We propose the best configuration of coverage and retentions to make the strongest economic case for competitive pricing from the underwriters. LeMay+Lang, LLC provides complete, compelling, and professionally prepared materials that give underwriters confidence that they are seeing the whole picture. Going the extra mile at the beginning yields profits when the insurance proposals are delivered. LeMay+Lang, LLC manages the entire process from specification development through verification of the delivered insurance policies. We do the technical insurance work that you have neither the time nor the training to accomplish. LeMay+Lang, LLC, are independent consultants that can assist you with a wide range of activities associated with purchasing your commercial property and liability insurance. Our goal is to provide you with the most economically advantageous insurance products to match your risk financing objectives and your overall financial goals. Risk Management is the process of maximizing your organization’s value by identifying and responding to risk in the most economically sound and advantageous way. As your outsourced Risk Manager, LeMay+Lang, LLC, can offer you the competitive advantages available from financially sound risk management and can help you protect and build the value of your business through Risk Management. Welcome to the new website for LeMay+Lang, LLC, an insurance advisory and risk management consulting firm serving multi-franchise and multi-location equipment and automobile dealerships across the United States. We hope that our website provides users with information not only about our company, but also about the ways that we can help you get the most for your insurance and risk management dollars. 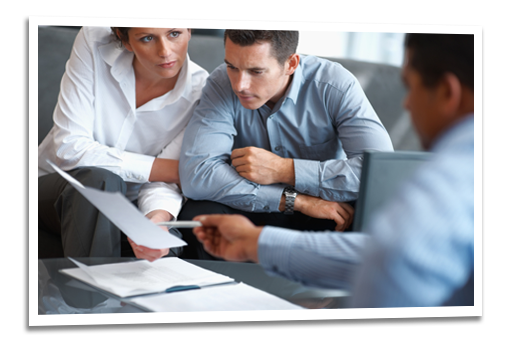 We work for our clients, who are purchasers of insurance products. We do not sell insurance. We are not agents for insurance companies. If you have any questions, or would like to learn more about LeMay+Lang, LLC, please contact Scott LeMay or Eva Lang via our contact page.